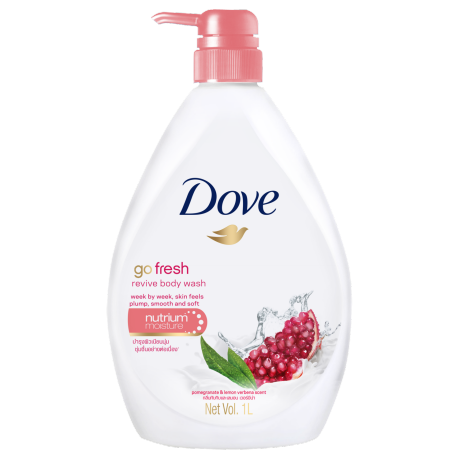 Dove Revive Body Wash gentle cleansers to maintain your skin’s natural moisture and NutriumMoisture™ technology to deposit skin natural nutrients. So, if you’re wondering how to get smooth skin – with this Dove body wash you can get softer, smoother skin in just 7 days. Its revitalising fragrance and nourishing ingredients will boost your mornings with an extra energy punch. enlivened with an invigorating pomegranate and lemon verbena scent to awaken and refresh your senses.